CHAMPAIGN, Ill. -- A central Illinois man was charged Friday with kidnapping in the disappearance of a visiting Chinese scholar who authorities believe to be dead after last being seen three weeks ago. 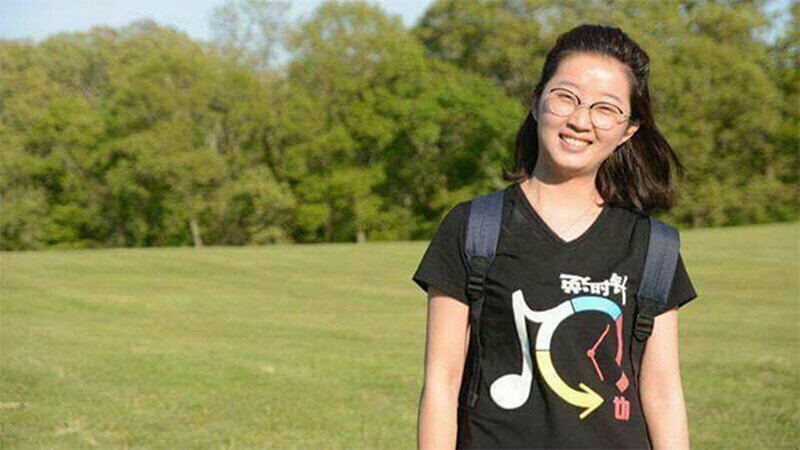 Yingying Zhang, the daughter of a working-class factory driver from China, disappeared on June 9, just weeks after arriving at the University of Illinois where she was pursuing studies in agriculture sciences. Federal authorities say Brendt Christensen, 27, of Champaign, Illinois, is charged in a criminal complaint with abducting Zhang shortly after she stepped off a bus near the university campus. Video show her getting into the front seat of a black Saturn Astra. According to the affidavit filed in federal court by FBI Special Agent Anthony Manganaro, Christensen was under surveillance Thursday when agents overheard him explaining he kidnapped Zhang. Authorities say based on that and other facts uncovered during the investigation, agents believe Zhang is no longer alive. In the complaint, prosecutors alleged that Christensen used his phone to visit a website forum called "Abduction 101" in April, that included sub-threads titled "Perfect abduction fantasy" and "planning a kidnapping." Asked Friday night if authorities had any leads on where Zhang's body might be located, the spokesman for the FBI Springfield office, Bradley Ware, declined comment. Illinois Chancellor Robert Jones said in a statement the campus community is saddened by the news Zhang is believed dead. "This is a senseless and devastating loss of a promising young woman and a member of our community," Jones said. "There is nothing we can do to ease the sadness or grief for her family and friends, but we can and we will come together to support them in any way we can in these difficult days ahead." According to Manganaro's affidavit filed in U.S. District Court in Champaign, investigators determined there were 18 vehicles similar to the one Zhang got in that were registered in Champaign County. The vehicle belonging to Christensen was first observed June 12 in an apartment complex parking lot, and investigators questioned him. The affidavit stated that investigators noted Christensen couldn't recall what he was doing on the day Zhang disappeared. They searched the vehicle but didn't remove anything. Investigators later determined the car in the video had a sunroof and cracked hubcap, like the vehicle belonging to Christensen, according to the affidavit. When investigators interviewed Christensen again, he admitted to driving around the University of Illinois campus and giving a ride to an Asian woman who said she was late for an appointment. Christensen said the woman panicked after he apparently made a wrong turn and he let her out in a residential area. The court document indicates a search of Christensen's car indicates the area where Zhang was believed to have been sitting had been cleaned. Christensen was placed under continuous surveillance on June 16, and on June 29 he was captured on an audio recording explaining how he took Zhang to his apartment and held her against her will. The affidavit says the woman remains missing. Some 5,600 Chinese enrolled at U of I, more than at any U.S. college, according to government data. There are more than 300,000 Chinese students in the U.S. in all. Some parents in China wondered if Zhang's disappearance meant it wasn't safe to send their children to the United States. Those who knew Zhang described her as bright and outgoing. She played guitar and sang in a band called "Cute Horse" in China. One of her favorite songs was "The Rose," a hit in 1980 for American singer Bette Midler. Zhang's boyfriend has said that she was also cautious and wouldn't normally get into a car with a stranger unless duped or forced. Zhang graduated last year with a master's degree in environmental engineering from one of China's elite schools, Peking University Shenzhen Graduate School. She had been doing research on crop photosynthesis, which included using drones to study fields, the university's communications office has said.